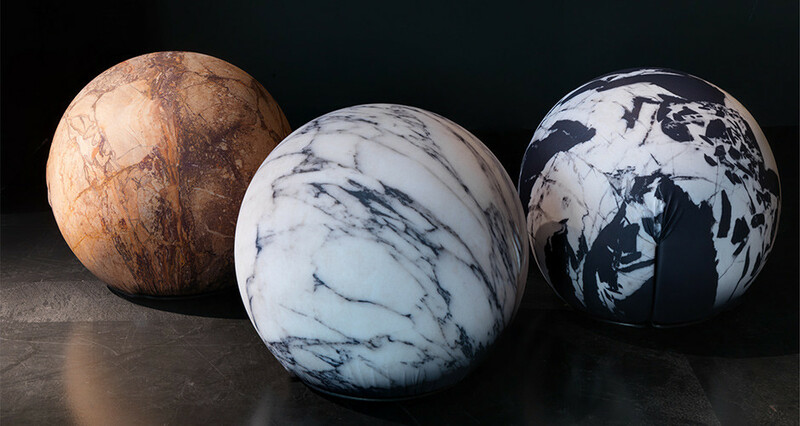 in White Carrara Marble, Black Marble and Red/Rust/Brown Marble. 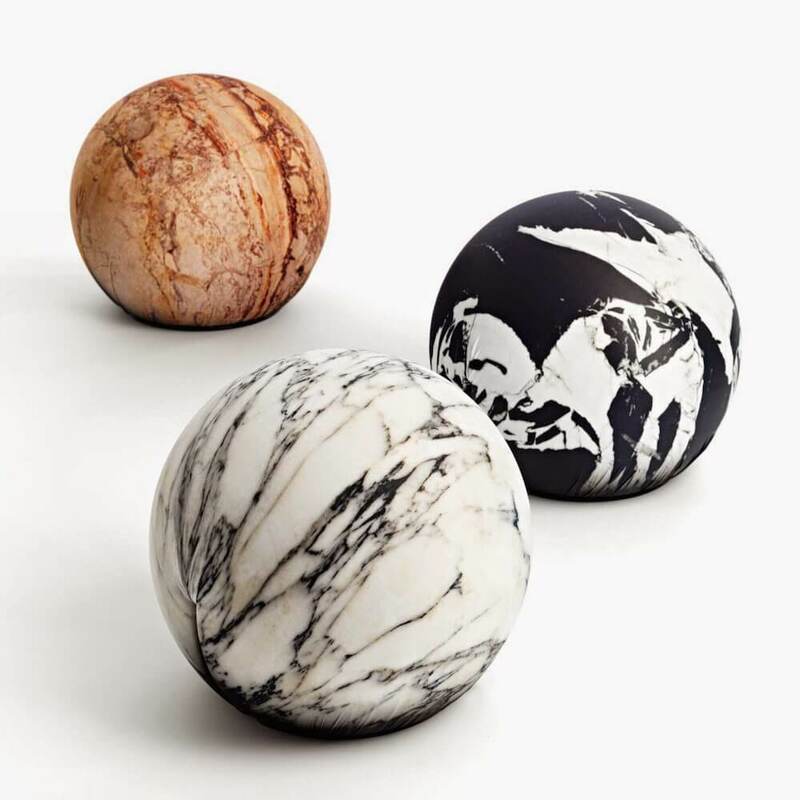 Add designer style to your home decor with these exquisite Marble Digital Print Upholstered Modern Fabric Poufs - White/Black Marbled Fabric. 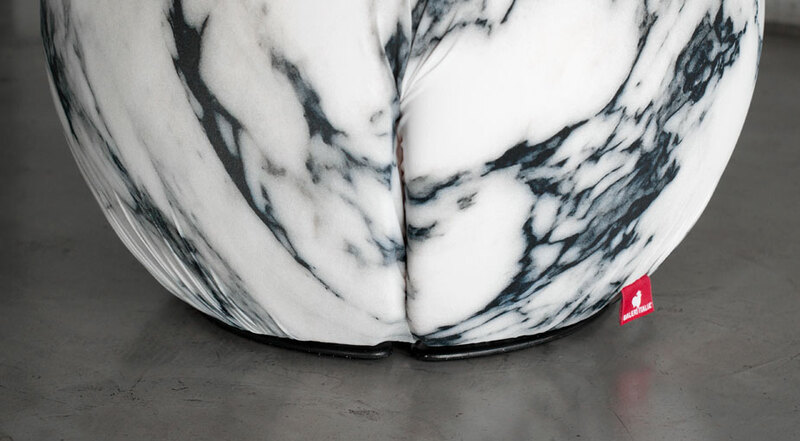 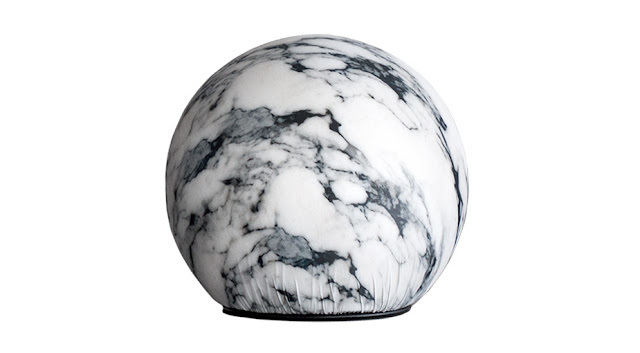 Marble upholstery fabrics such as used on these marbled fabric poufs are sure to cause a quite a stir! 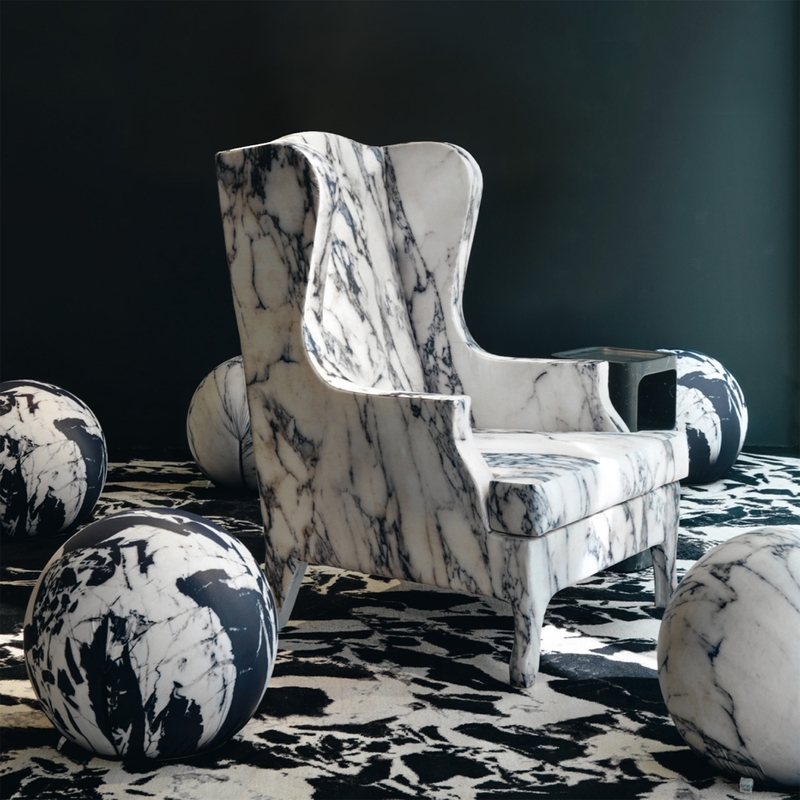 White and black relief marbling sprawls across a dominating black surface reminiscent of the ever elusive white carrara and black marquina marble from Italy. The ancient Romans and Greek valued the beauty of marble. 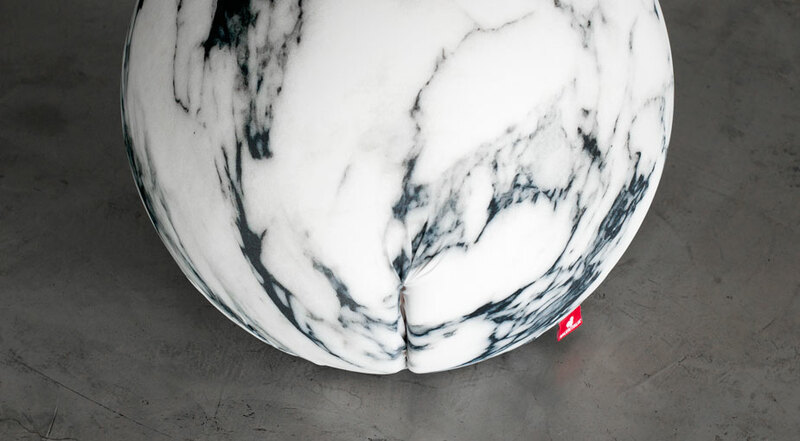 And it is still a desired decorative element even today. 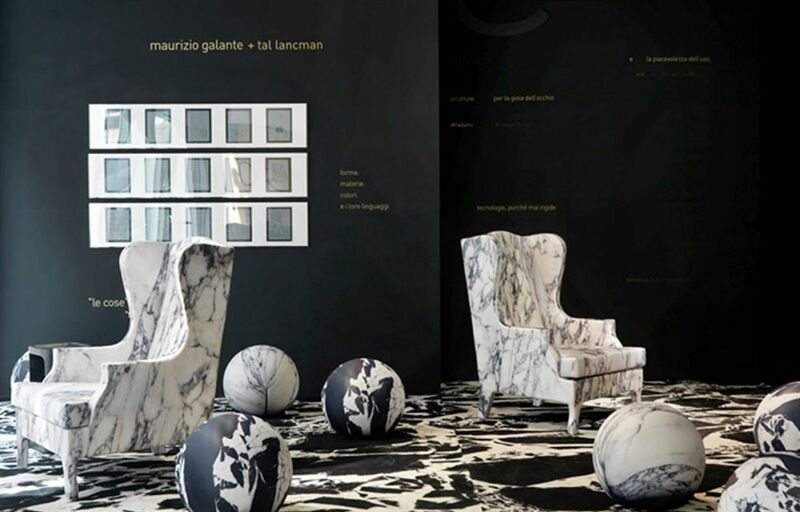 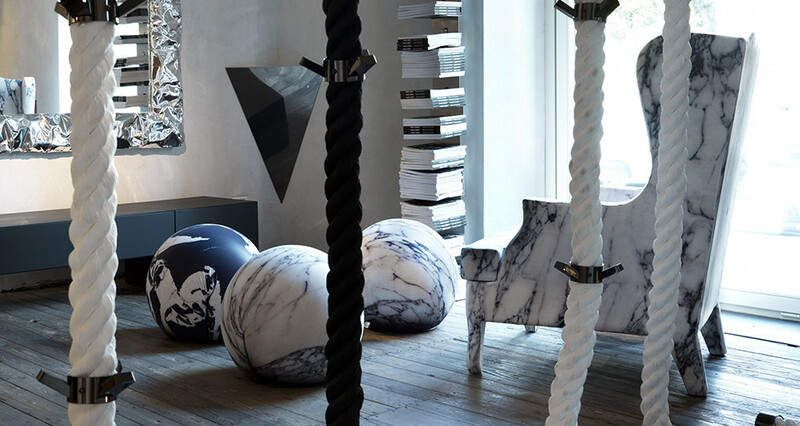 Since marble isn’t really comfortable to sit on, Maurizio Galante and Tal Lancman have carried over its look to seating. 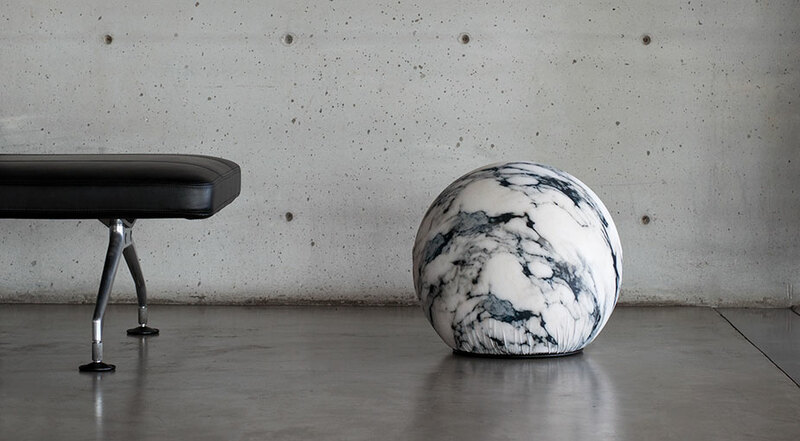 The re-interpretation of the Italian design classic Tatino by Enrico Baleri & Denis Santachiara cts as a pouf, stool or trendy lounge element thanks to its height. 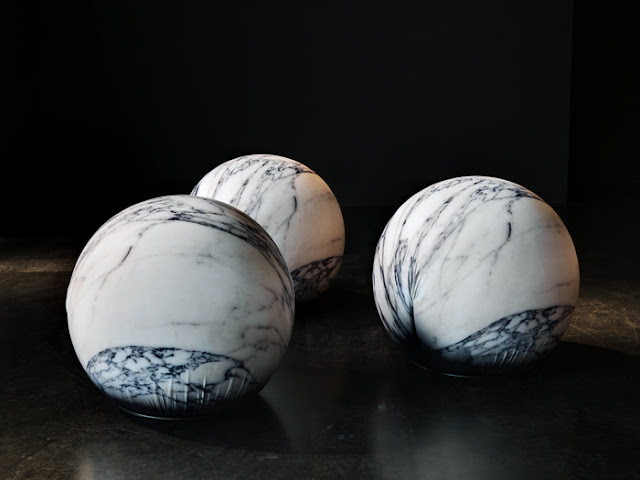 But it also offers a noble hint for your home as a decorative element, attracting curious glances, as Carrara marble has never been more comfortable. The marble print appears three-dimensional and plastic because of its special bi-elastic textile material. 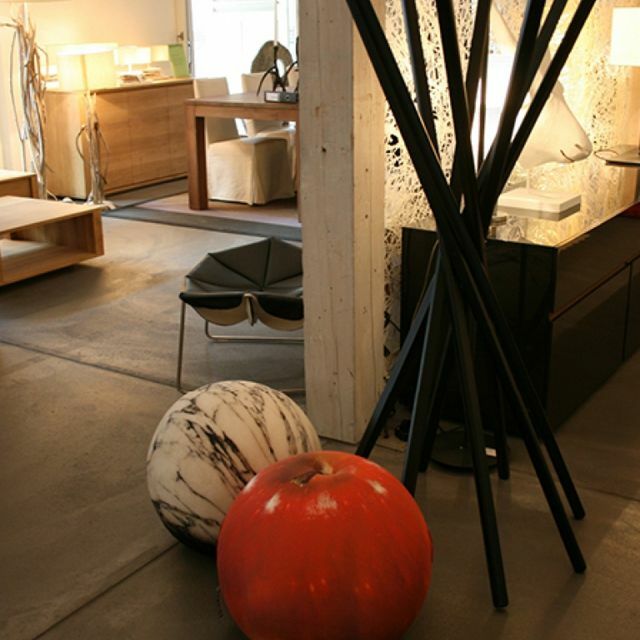 Subdued shapes ensure unusual ergonomics: the spherical marble footrest by Baleri Italia is made of FCKW-free polyurethane with a soft and mouldable layer below and with a firm interior structure of plastic, which supports the body perfectly, offering enough resistance so that you can remain comfortably on it. Different prints ensure a suitable Tattoo pouf for everyone. 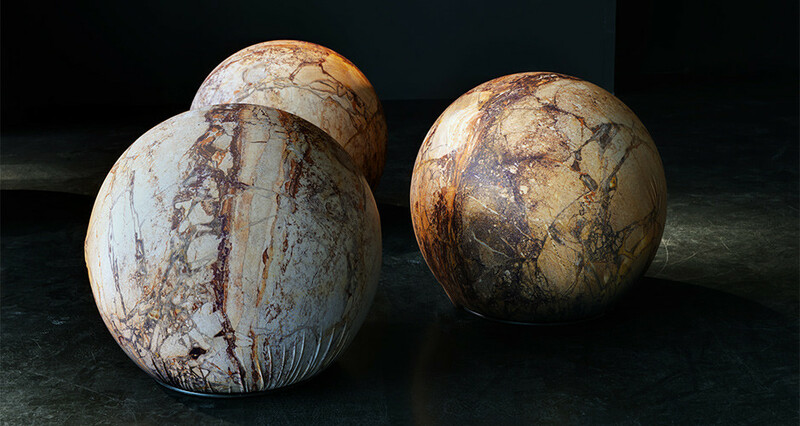 The Baleri Italia Tattoo is also available in an egg-shaped edition based on the Tato egg seat, with different designs as well on demand. 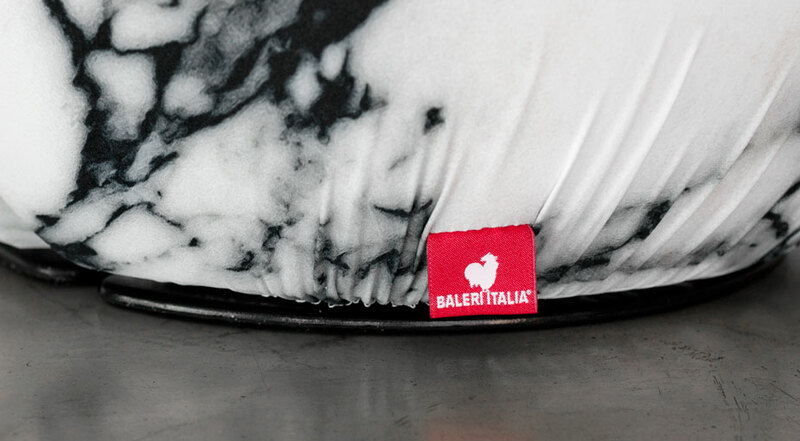 Along with the enticing image digitally implemented onto its surface, this material was produced in Italy from a durable bi-elastic fabric; thus providing the supreme Italian quality brought forth with this unbelievably soft polyester fabric.